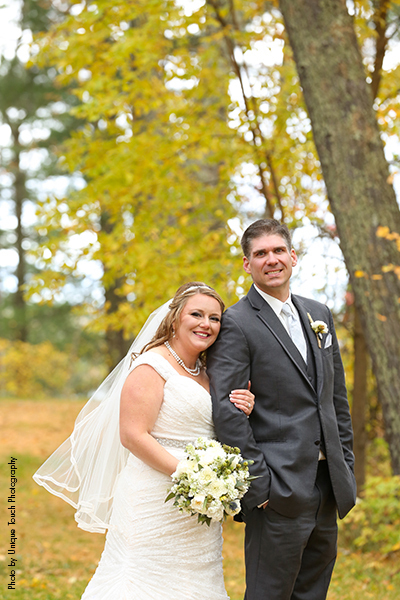 Erin and Mike are a picture perfect couple. Their passion of caring for others shows through in their love for each other. 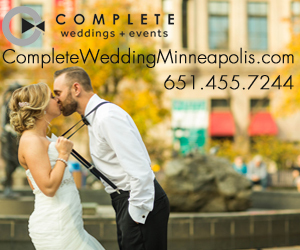 Erin is a registered nurse in the Pediatric ICU at Mayo Clinic and Mike is a paramedic. 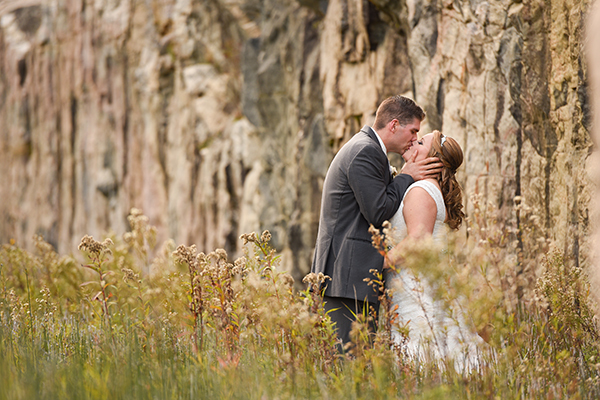 The two enjoy going on new adventures together, trying new breweries, foods or a weekend getaway, just to name a few. 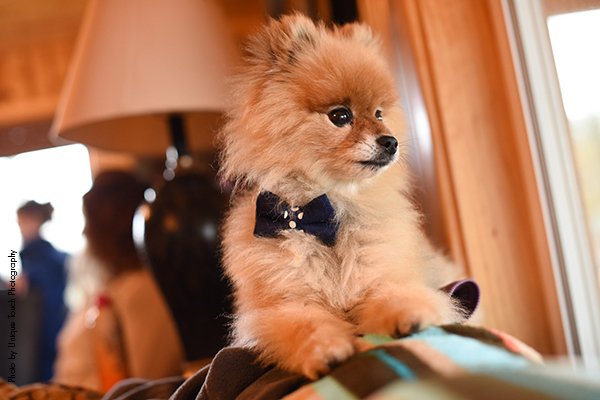 They also love spending time with family including their two Pomeranians, Tucker and Mika. 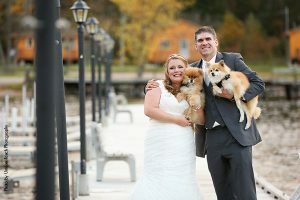 Erin and Mike met in an Anatomy and Physiology class, Mike had missed the first week and when he walked into class the next week the only spot available was next Erin (just like a romance movie!) 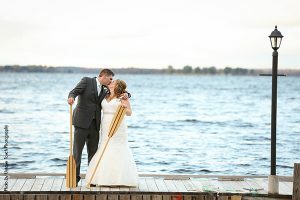 Throughout the next few weeks the two both noticed how they worked really well together and everything just seemed to “mesh.” As they got to know each other a little better they discovered Erin’s brother had known Mike for years, Mike had even been over to her house in high school but they never knew each other- what a small world! As Erin and Mike began planning the big day, they kept coming back to one common thread, their love for craft beer! 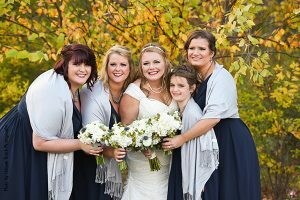 They decided to go for it and model their wedding day around this theme. 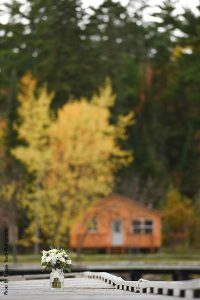 They used growlers from their weekend getaways and brewery hopping as center pieces and they scattered dried hops and wheat on the tables. 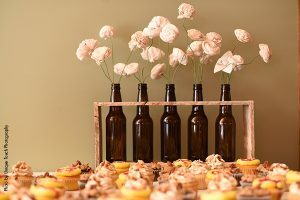 They used pint glasses with bottle caps to hold the tea lights and the bouquets and boutonnieres even had hops and wheat included in them. When it came to Erin’s Bridal look, she ended up picking something she never imagined she would like (something that happens with brides more often than you would guess.) 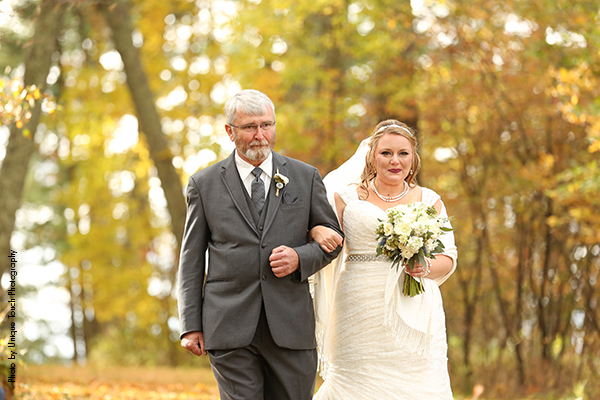 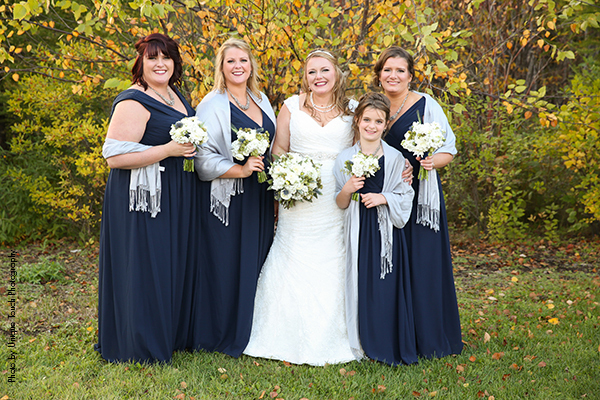 Erin’s perfect wedding gown was a lacey sweetheart neckline gown from Mestad’s in Rochester. 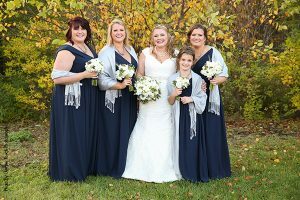 The bridesmaids kept things classy with elegant navy dresses that complemented the gorgeous fall colors. 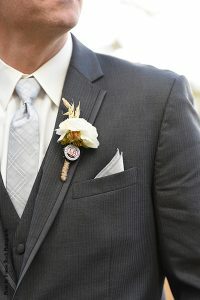 The men wore dark grey tuxedos with vests underneath. 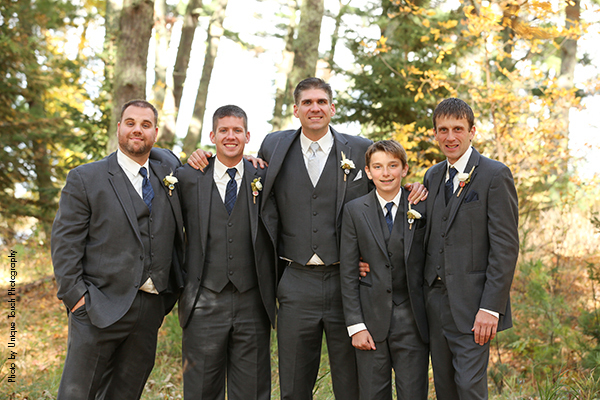 The groomsmen wore navy blue ties and Mike wore a light grey tie. 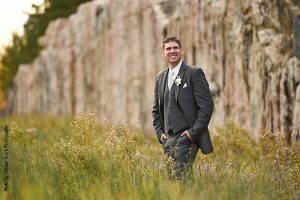 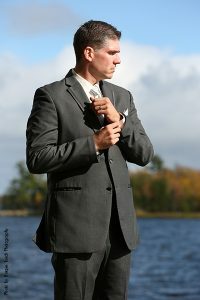 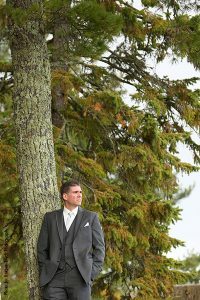 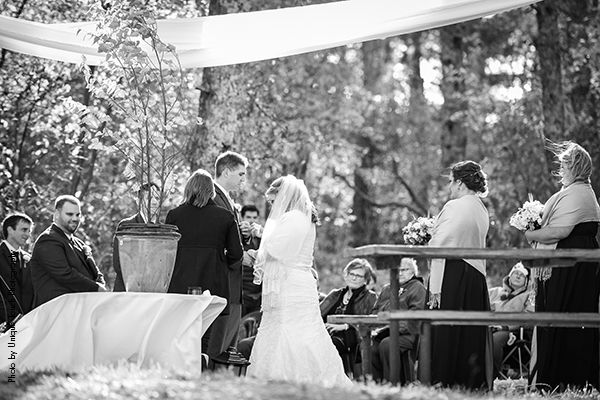 On October 8th, 2016, exactly 6 years after their very first date Erin and Mike said their vows in front of an intimate selection of family and friends at the Woodenfrog State Forest Campground in Kabetogama, MN. 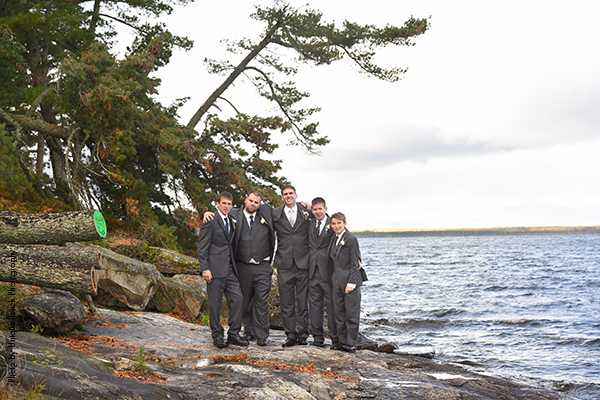 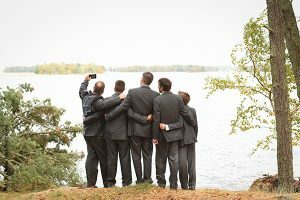 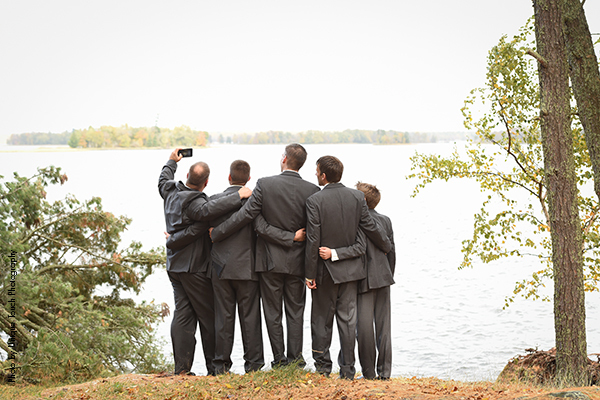 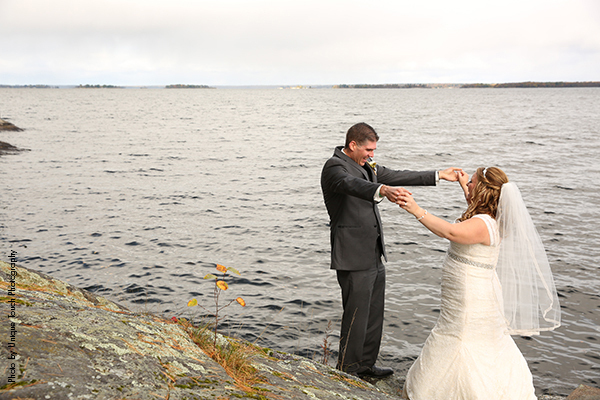 Erin’s fond memories of her trips to the family cabin in Kabetogama prompted her idea to get married there. Erin took Mike there while they were dating and he fell in love with the place, just as Erin had as a child. 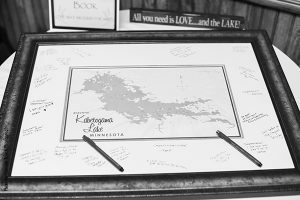 The guests moved to the Kabetogama Town Hall where they were served a perfect fall meal that consisted of salad, chicken wild rice soup, roast beef and gravy, roasted root vegetables. 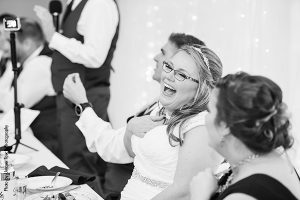 They also had a snack bar open all night, where guests could enjoy popcorn, pretzels, candy and snack mix. Everyone enjoyed cupcakes and a S’mores bar, oh and we can’t forget about the delicious selection of craft beer! 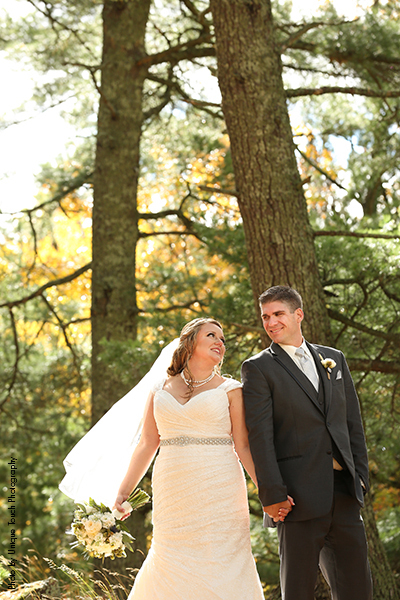 Erin and Mike want to tell engaged couples to do what you want! 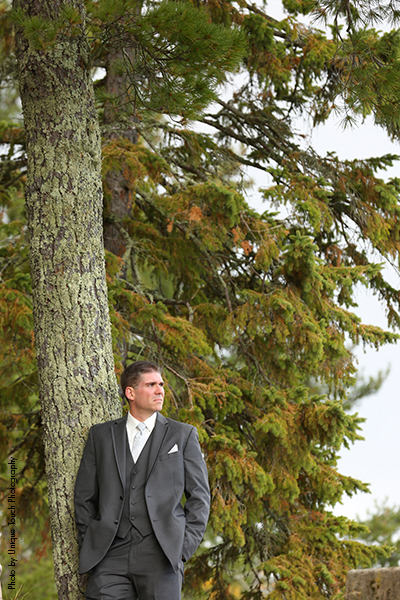 People thought it was strange to plan a wedding based on beer, but they didn’t care! 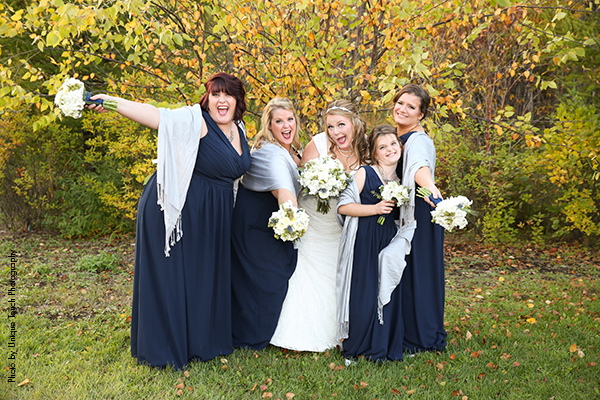 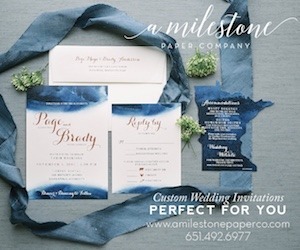 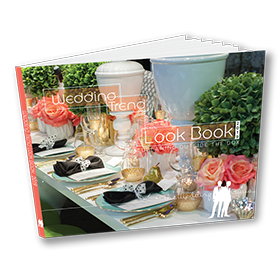 Everyone ended up loving their creative wedding theme and had so much fun with it! 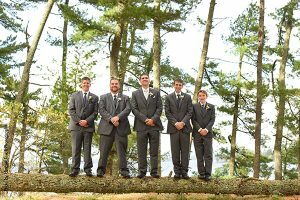 They also urge you to have fun and don’t stress about the little things, it goes by so quickly that you need to enjoy it to its fullest potential.